At $700, the beautiful Iikone single-cup coffee brewer is quite an extravagance, albeit one made of precision-milled, polished surgical steel. The coffee it produces will doubtless be delicious, because, assuming you start with good beans and carefully measure your water temperature and ingredients quantities, this is a very good coffee-production method. Will it be better than the $5 generic equivalent? That really depends. In a blind taste-test: absolutely not. But the placebo effect is real. Priming is real. If your $700, beautiful kitchentop dripper fills your heart with joy, you may perceive your coffee's flavor as superior, albeit that a mass-spectrometer couldn't distinguish it from a $5 drip. If, on the other hand, you contemplate your $5 dripper and let it fill you with self-satisfaction at your financial acumen and your shrewd resistance to form over function, you might find its product superior to your 1% pal's $700 Iikone. Some complications: Don Norman's Emotional Design is one of my favorite books of this century. In it, the famous designer who had previously written the definitive function-over-form book repudiates his orthodoxy. He points out that in a complicated, technological world, virtually everything we interact with is broken in some way, which means that successful use of gadgets is, first and foremost, a troubleshooting problem. Troubleshooting requires calm, collected, methodical, lateral thinking. If you are delighted by the graceful design of your broken thing, your delight will help get your mind right to fix the broken thing. The $700 object would fill me with joy (complicated by a haunting regret about what else I could have bought with $700). The $5 extrusion-molded plastic equivalent would not. 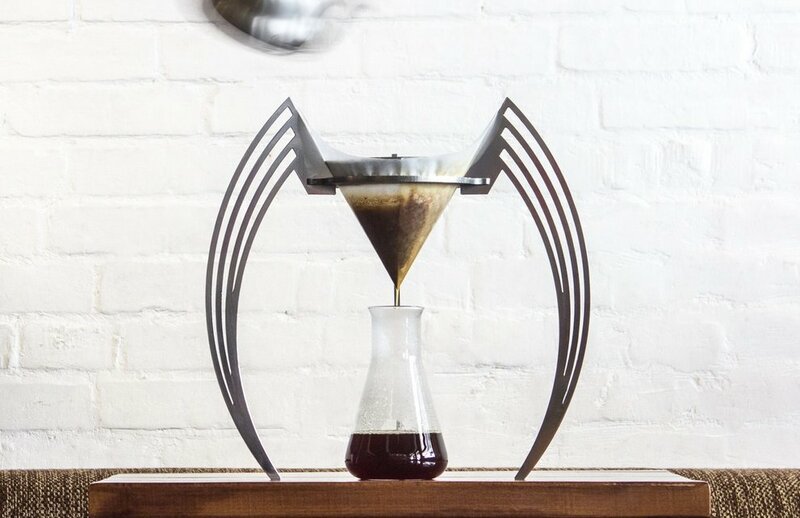 If you really want your coffee to taste great, you should make your own beautiful coffee-dripper. That's the Ikea effect, which Dan Ariely describes beautifully in The Upside of Irrationality. Experimental psychology has shown that, once you infuse an object with your own labor, it takes on an economically indefensible value -- that is, once you've personally assembled your Ikea furniture, you will not part with it unless the sum offered is greater than the replacement price combined with any reasonable price for your labor. Things you make yourself are more valuable to you (Dan Ariely/Ikea Effect) bring more joy (Don Norman/Emotional Design). We perceive the output of things that bring us joy as being of higher quality than the output of things that do not (Placebo). So: make your own amazing dripper, and experience coffee nirvana.